Jim Rohn is a motivational guru whose philosophy has helped millions to improve their business, personal life, leadership and finances. 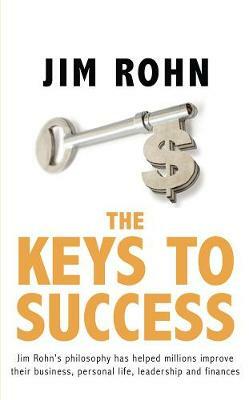 Delve into Jim Rohn's new inspirational book on how to make your whole life a success. Start by developing your mind, personal development, the power of words, business success, family life, handling difficult times, time management, your worth in the market place of life, goal setting, the art of selling and persuasion. The Keys to Success is an easy-to-read motivational book that will change your life. Follow the simple keys to success as outlined by one who knows.